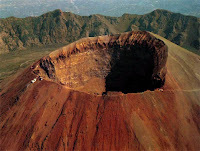 Vesuvius is one of the best-known volcanoes in the world and is arguably Europe’s most dangerous volcano. Mt. Vesuvius is still active today. It is the only active volcano on the European mainland. Mt. Vesuvius's most famous eruption was in 79 A.D. when it destroyed the citites of Herculaneum and Pompeii. When Vesuvius erupted it covered the cities of Herculaneum and Pompeii it covered the cities with 20 feet of volcanic debris. During this eruption about 2000 people were killed inculding Pliny the Elder, a Roman naturalist. That eruption was called a plinian explosion. This means that when extremely gas-rich, viscous magma explodes deep inside a volcano (the vent serves as a gun barrel) and tremendous blast shoots straight up at twice the speed of sound, creating a vertical column of ash as much as 20-miles high. Since then it has erupted over 50 times and is still active. 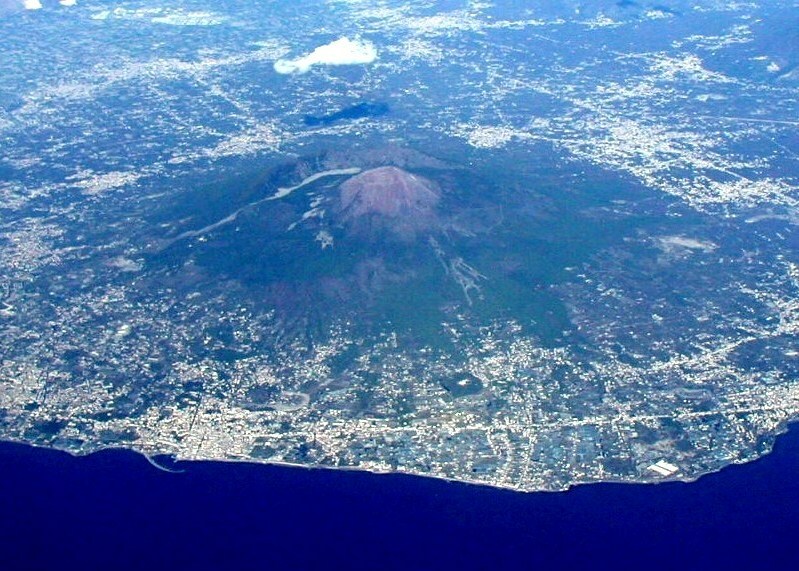 Some other eruptions include one in 1631 when 5 towns were destroyed and 3000 people were killed, another one was in 1794 when it destroyed the town of Torre Del Greco.The next viloent eruption happenned on April 1906 when it lasted ten days and causing great destruction and killed 2000 people. Since then smaller eruptions happenned in 1913, 1926, 1929, and 1944.